Celebrating their 12th year in 2019 of Stand-up Comedy, It’s BonkerZ Featured Artist Comedy Clubs, Australia's only Drink included Comedy Club. You heard right, not only do you get a chance to catch some of the hottest Pros, Semi-Pros and Rising Stars from around the world, but we also buy your first round of drinks. BonkerZ Comedy Club is not your standard, run of the mill comedy club, that's why they were the only Comedy Club in Australia, selected for MasterCard's International Priceless Campaign. Killer Acts, Killer Music and the most comfortable and coolest Comedy Theatre in Australia! 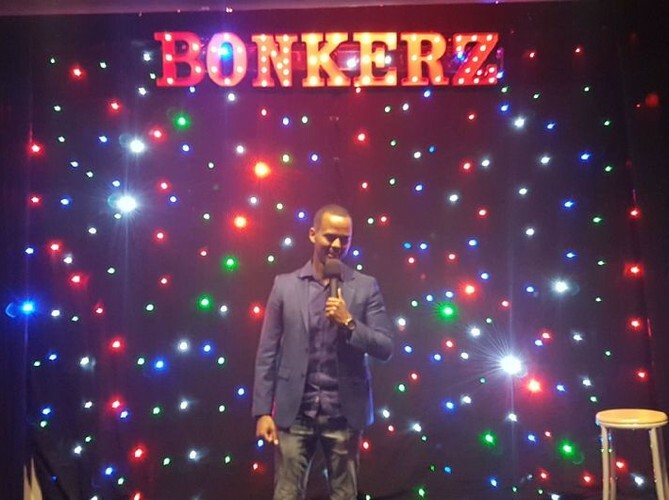 BonkerZ Comedy Club is located just 1 min from Townhall station and only minutes from your CBD Hotel! BonkerZ also donates a percentage of each ticket sold to the Fred Hollows Foundation. It's our 9th year of donating to Fred and we think it's worthy cause :-). So far with your help, we’ve donated over $2000. Thanks Australia. Oh, Celebrate our 12th year and 1000th Show on Feb 28th and March 1st and 2nd, with 2 killer shows! The African American and Asian Comedy Tour and our 1000th Show celebration. Killer Comics(Asia, USA, UK, AUS and Africa), Magician and Illusionist "Jack Daniels" Plus Amazing door prizes and plenty of surprises. 8pm. Tickets on this site. Join us every Saturday for a new line up of Australia's funniest comedians. 1 show only per day. Oh, check this out, we’re also booking now for our buy 1 seat, get 1 seat free specials during the Sydney Comedy Festival (April 22-May 19th) and Sydney Fringe Festival (Sept 1 - 29th) Yes, all seats during these times are 2 for the price of 1. Oh yeah, U will laugh. Don't forget checkout our Las Vegas Entertainments "House of Magic" Family Magic and Illusion Shows, every School Holidays and Beyond.